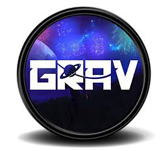 Grav is a flat-file based content management system designed to store the content instead. It doesn’t use text file (.txt) or markdown (.md) file to store the content and also not uses database to store content. The flat-file contains readable text to handle the content in an easy way. This tutorial is targeted for the developers to develop websites. Once you complete this tutorial, you will become expert in developing websites using Grav. To learn this tutorial you need to be aware of basics of Markdown. Otherwise you need to learn the basic concepts on Markdown.